The Heart of a Great Family is not your everyday “how to understand your spouse” kind of marriage manual. 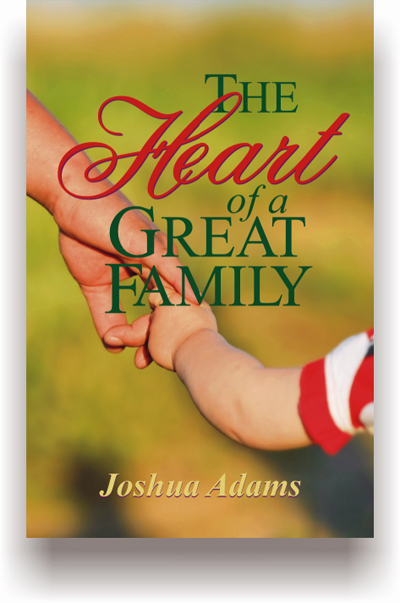 Strongly influenced by the ministry of Dr. Richard S. Taylor, author Joshua Adams identifies the most essential element for successful families— purity of heart. He proposes that contemporary families must first be fully yielded to God and immersed in his Spirit. He considers modern technologies and the sanctified life, the “properly wired home,” entertainment and time, how to “light the family’s fire,” and many more highly significant topics. Along the way he takes time to address the particular concerns of young people who are still unmarried, and even goes so far as to take on the common, formidable interpretation of the Proverbs 31 woman (and it is not what you think you have heard all this time). These are timeless truths with a refreshingly current insight.